The best time of day for any parent is, of course, bed time. The kids go to sleep, parents get some time to themselves, and the house quiets down. A hush might not fall over your house, though, if your kids aren't comfy while they sleep. Sleepwear comes in all shapes and sizes, and you have to find the right fit for you and your kids. Don't forget about babies, who look oh-so cute sporting their pajama onesies and rompers. Check out the 12 patterns below to learn how to make pajamas that every member of your family will love. If you love to make sewn clothes, check out all the fabulous sewing patterns in our 15 Sewing Patterns for Women's Dresses & Other Pretty Projects eBook! Save some money by sewing homemade pajama bottoms instead of buying them from the store. If you're looking for some easy ways to make pajama pants that your growing child will love, check out these four patterns. 1. How to Sew Pajama Pants: Basic pajama pants are a breeze to sew. Grab your favorite flannel fabric and sew some comfy pajama pants that you can match with any top. 2. Simple Pajama Shorts: When the weather gets warm, pajama shorts are the way to go. 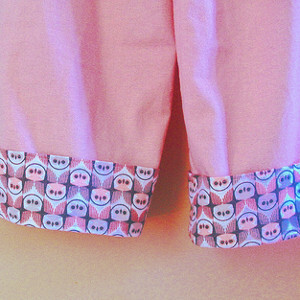 Learn how to sew pajama shorts using your favorite patterned fabric. 3. How to Make Perfect Fitting Pajama Bottoms: If you already have pajama pants you love but worry you've outgrown them, make your pants last a little longer by sewing some quick alterations. 4. Perfect Pajama Pant Cuffs: Get some extra wear out of your growing child's pajama pants. Tack up the newly-sewn cuffs to your child's perfect length, and let them down as your child grows taller. 5. Yoga Pants: Make these easy sewn pajama pants and you can easily set-up an early morning yoga routine. 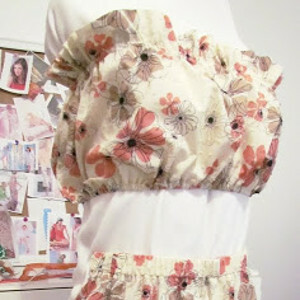 Rather than busting out the checkbook to buy pajamas from the store, try sewing your own for the ladies of your family. These free pajama patterns are perfect for any sleepyhead when the weather gets hot. 6. Hot Weather Pajama Top: Standard flannel pajamas can be too warm in the summer heat. This pajama tutorial will show you how to make lightweight pajamas that are perfect for warm summer weather. 7. Simple Summer Pajamas: Just because the sun is shining doesn't mean your daughter can't wear cute pajamas to sleep. Sew her this simple romper to sleep in when the temperatures rise. 8. Simple Shirred Waist Shorts: Short pajama shorts are a great way to stay cool in the summer. Skip the long pants and slide into this comfy sewn pajama shorts before some shut eye. 9. How to Make Madeleine Bloomers: Just because it is time for bed does not mean you have to skip the style. 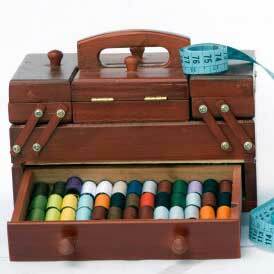 Wear this vintage sewing project to bed and have stylish, old-timey dreams. 10. DIY Pillow Case Night Dress: Wearing pants or shorts to bed can be a little uncomfortable. If you want to wear something breezy, cool, and cute while you slumer, check out this pajama sewing project. Swaddle your little ones in warm pajamas that will help them fall asleep right away. These pajama ideas are perfect for any new parents who want to curb the cost of raising a family. 11. 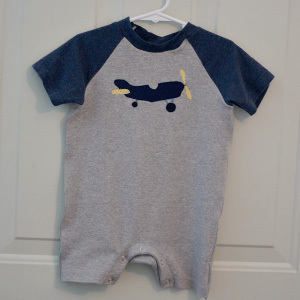 Baby Romper Tutorial: Make this adorable little baby romper to tuck your little on tight into. The cute airplane applique will have them dreaming of faraway lands in no time. 12. Newborn Sleeper: Grab an interlock knit fabric for this free pajama pattern. You baby will love sleeping in the warmth and softness of this little onesie. Can't get enough sewn shorts patterns? 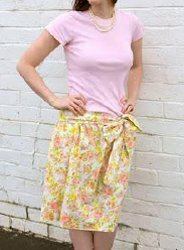 Then check out our How to Sew Shorts: 18 Free Shorts Patterns collection. You will not be disappointed. i need a question answered..........im making sleep/lounge pants for my nephews, elastic waist, i measured his waist, do i cut the elastic exactly to that measure or do i cut it just a little shorter?